Learn the basics of the Resin app server and the features of Resin 4.0. Resin comes in two flavors: Resin Open Source and Resin Professional. Caucho Technology's Resin® is a Java Application Server with a reputation for being lightweight and fast, yet reliable and scalable enough to power the most demanding enterprise sites. Beginning as a Servlet and JSP engine in 1998, Resin has since evolved to support the Java EE 6 Web Profile within highly integrated implementations of Servlet 3.0, CDI, and EJB 3.1 Lite. In addition to the Web Profile standards, Resin also includes a high performance JTA transaction manager, a JMS provider, clustering, connection pooling, and a management console. Resin is available in two flavors: Resin Open Source and Resin Professional. Resin Open Source is licensed under the GPL and has all the features necessary for Java EE 6 Web Profile development. Resin Professional builds on Resin Open Source and offers advanced features such as clustering (both traditional and cloud), fast native I/O, proxy caching, and OpenSSL integration. Resin is maintained in two branches: stable and development. At the time of writing, the stable branch is Resin 3.1 and the development branch is Resin 4.0. Users should note that despite the name, each release of the development branch is production ready. It's termed “development” because all new features and APIs go into this branch, but core technologies like Web Profile APIs are stable. This Refcard will deal entirely with Resin 4.0 because it contains the Java EE 6 Web Profile implementation (Resin 3.1 focused on Java EE 5) and has many new exciting features that are useful for emerging technologies such as cloud deployment. All currently available versions of Resin are listed for download at http://caucho.com/download. Most users will want to download Resin Professional, even if they haven't purchased a license. Without the license, Resin Professional operates just like Resin Open Source. If you decide to upgrade later, all you have to do is drop in a license file. Developers who want a purely GPL version can download Resin Open Source. Resin is available in tar.gz and .zip formats for Unix, Mac OS X, and Windows users. While Resin can run in a pure Java mode, it also features some native (JNI) code that offers functionality like dropping root privileges in Unix and OpenSSL integration. Because of these features, you'll need to compile the JNI code if you're running on Unix or Mac OS X. Windows DLLs are provided in the distribution. 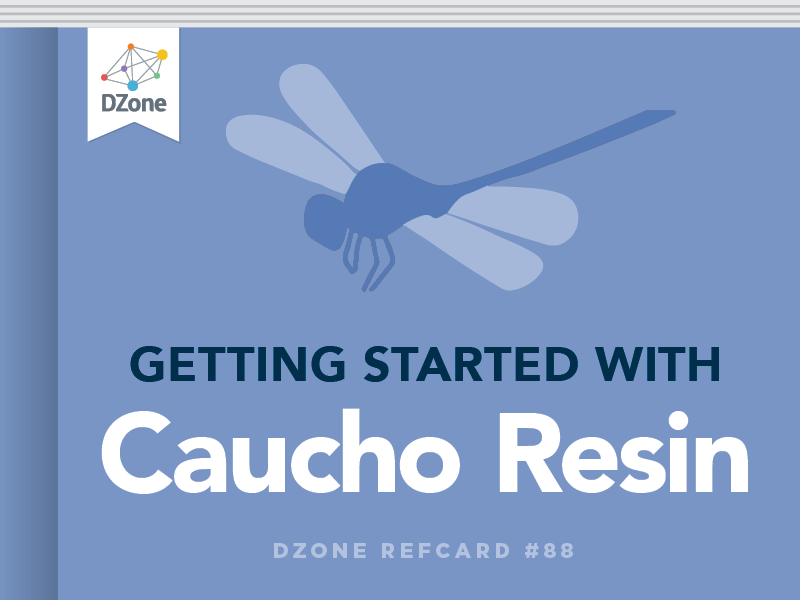 Ubuntu Linux users can use Caucho's Ubuntu repository to install Resin as a .deb. Resin 4.0 now requires Java SE 6. This latest version of Java introduces a number of API improvements and Caucho's internal testing shows performance benefits as well. Make sure to get the JDK, not just the JRE. You'll need to run the last command (make install) as root so you can install Resin system wide. By default, this installs Resin in /usr/local/resin-<version>, but you can change this behavior by passing the --prefix= to the configure command. For more options, pass -- help to the configure command. Resin includes precompiled DLLs for the native code, so no compilation is necessary. Simply unpack the Resin .zip file directly where you'd like to install Resin and you're done. Typically, we recommend C:\Resin. Once you have Resin installed, you should see two .exe files in the top-level Resin directory, resin.exe and setup.exe. resin. exe launches Resin from the command line, but is used for backwards compatibility. setup.exe installs Resin as a Windows Service, which we will discuss in a later section. This will install Resin Professional. Use “resin” instead of “resin-pro” if you'd prefer to install Resin Open Source. This installation will start Resin for you automatically on startup. Resin separates the Resin Home directory, where Resin's libraries and licenses are contained, from the root directory, where your applications and logs are maintained. This structure makes it easier for you to upgrade Resin without disturbing your applications. In other words, you can just replace your Resin Home directory with the new Resin installation to upgrade. Once you have installed Resin system-wide, you may want to have it start when your server boots up. Resin provides start scripts for Unix and Windows. Resin provides an init.d script and installs it in /etc/init.d/resin. This script is editable and essentially just starts the Resin server using the command line interface shown above. For standard installations, it shouldn't be necessary to modify this file, but you can configure alternate directories. Resin includes a Windows installation program called setup. exe to create a Windows Service. You can set parameters such as the Resin Home, Resin Root, and Log Directory for the service. You can also set the Service name or remove an existing service. Even though we showed Resin run as a single Java process above, there are actually two processes being run, Resin and a Watchdog. The Watchdog is in charge of launching and monitoring the Resin process. This architecture provides additional reliability by restarting Resin if there's an error. Resin's server configuration is XML-based and contained largely within one file called resin.xml. The default resin.xml should work fine for most users with single-server deployments or developers. For more advanced configurations however, you'll want to understand and modify the resin.xml file. The XML structure of the resin.xml file models the organization of Resin. At the top level there is the full Resin deployment which contains clusters. Each cluster is a set of servers and (virtual) hosts. (Note that even when running a single server, Resin considers this to be a cluster with one server.) Each host contains web applications. With this hierarchical structure, you can share resources and policies across applications. For example, you could configure a database pool shared by all applications in a single host or a distributed cache shared by all servers in a cluster. Resin supports a number of features for applications that go beyond what Java EE standards specify, such as database pooling, custom logs and log rotation, and security authenticators. All of these facilities can be configured in the top-level resin.xml or in a Resin-specific application deployment descriptor file named WEB-INF/resin-web.xml. This file is recognized by Resin and can be used alongside of the portable web.xml descriptor file to configure Resin-specific resources. You can think of the resin-web.xml file as providing the <web-app> configuration in the resin.xml structure above. The sections below will discuss how to configure resources in the resin-web.xml file. Once you've started Resin, one of the first tasks you'll want to do is set up a password for administration tasks. To do this, just browse to http://localhost:8080/resin-admin (replace localhost with the host on which you've installed Resin if it's different). There you should see a login page with a section called Don't have a login yet? Enter a username and password, then submit and follow the directions on the next page for copying the generated password file to your Resin installation. Once you've installed the password file, Resin will restart automatically and you can login with the password you've set up. The administration application features a number of monitoring resources for web applications, the proxy cache, server configuration, cluster status, memory usage, CPU usage, sampling-based profiling, and post-mortem failure analysis. Resin offers file system-based “hot deployment” with which you can deploy an application by copying it to the Resin “webapps” directory. The application can be either in .war form or an “exploded” war. If you deploy the application as a .war, Resin will expand and start it automatically by default. Many developers may also prefer to copy their application in “exploded” form for development. Resin is able to detect changes to the code base (both JSPs and Java files) within the application and automatically recompile and redeploy. This feature can help developers iterate quickly to see code changes in their application. While file system-based deployment is great for developing applications and deploying applications on a single machine, it can be difficult to manage when deploying to multiple machines in a cluster. Resin offers a distributed deployment mechanism for these cases. Resin features a built-in database pool which allows multiple database servers, load balancing, and connection checking. Resin's database pools are integrated with Resin's CanDI (CDI implementation) so that developers can use annotations to inject the database easily into their code. Notice that the names of both the logger and log-handler are “com.example”. We also changed the path to an explicit file name. We also added a rollover-period and an archive format. In this case, the log will be rolled over (rotated) once a day and the old log will be stored as example-%Y%m%d.log.gz, where the %Y%m%d will be replaced with the year, month, and date when the log was rolled over. The .gz extension also indicates to Resin that this log should be gzipped. Resin includes its own powerful HTTP server which features comparable performance to C-based servers such as Apache or nginx without the overhead of requiring multiple processes. Using the Resin HTTP server is recommended. In addition to its solid performance, the Resin HTTP server also has a number of convenient features for configuring SSL, rewriting requests, and managing virtual hosts. For many deployments, you may not need to use specialized virtual hosts (e.g. you only use example.com and www.example. com). In these cases, you can deploy to the standard web app deploy directory and Resin will serve all your applications regardless of the virtual host specified by the client. Then any applications deployed in this webapps directory will be served from Resin as store.example.com. You may prefer to use an explicit <host> tag in your resin.xml. This approach allows you to create a custom directory structure and make your hosts explicit in configuration. Resin provides two aspects of security for web applications: authorization and authentication. Resin provides an authentication framework that allows applications to authenticate users from a wide variety of sources including LDAP, a JDBC database, JAAS, or a simple XML database. XmlAuthenticator For basic applications with few users (such as the Resin administration console). LdapAuthenticator Can reference an LDAP database for users and passwords. Specify a distinguished name prefix and/or suffix to select users. JdbcAuthenticator Specify a table and columns against which users, passwords, and roles will be authenticated. JaasAuthenticator Use any JAAS plugin to authenticate users. Notice that we also changed the caching behavior of the response to indicate that browsers should not cache this secure content. Resin features a development plugin for Eclipse based on the WTP framework. With this plugin, developers have all of the facilities of the WTP environment with the ability to deploy to Resin using a variety of file system and remote deployment options. The plugin includes built-in configuration files for the development environment, but you can use any configuration file as well. To download and install the Eclipse plugin for Resin, add http://caucho.com/eclipse as an update site within Eclipse and install the Caucho Resin plugin. The default resin.xml file has distributed sessions already enabled, so by adding these servers you've already got a cluster that can share data. In this case, you would run this command from the machine with the network interface assigned the IP 192.168.0.10, as per the configuration above. This configures a third Resin instance that will load balance requests from the outside world back to the app-tier servers. Because the <resin:LoadBalance> tag is part of the Rewrite Dispatch architecture, you can route load balanced requests with custom dispatch rules. Resin includes precompiled DLLs for the native code, so no compilation is necessary. Simply unpack the Resin .zip file directly where you'd like to install Resin and you're done. Typically, we recommend C:\\Resin.